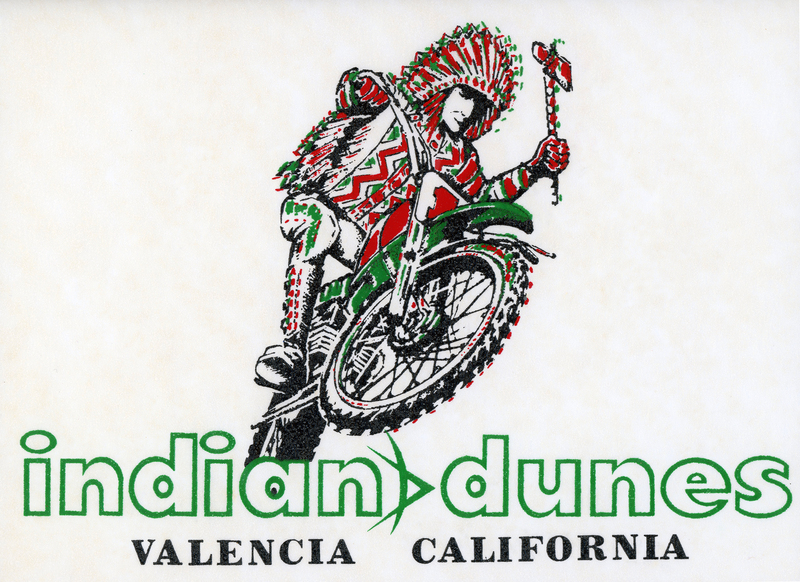 SCVHistory.com LW3179 | Valencia | Indian Dunes Iron-on Transfer, 1970s. Original 1970s iron-on transfer (for a racing shirt, T-shirt, sweatshirt, etc. ), 10x12 inches. The image is reversed. LW3179: 9600 dpi jpeg from original transfer purchased 2018 by Leon Worden.